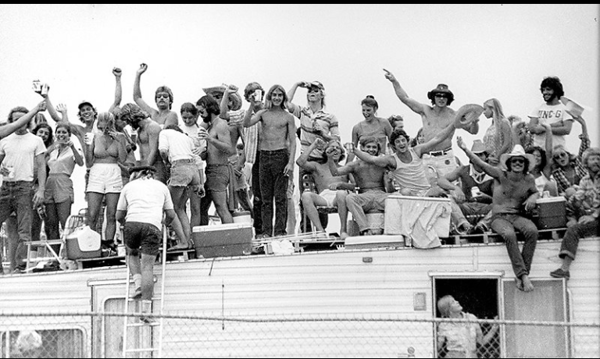 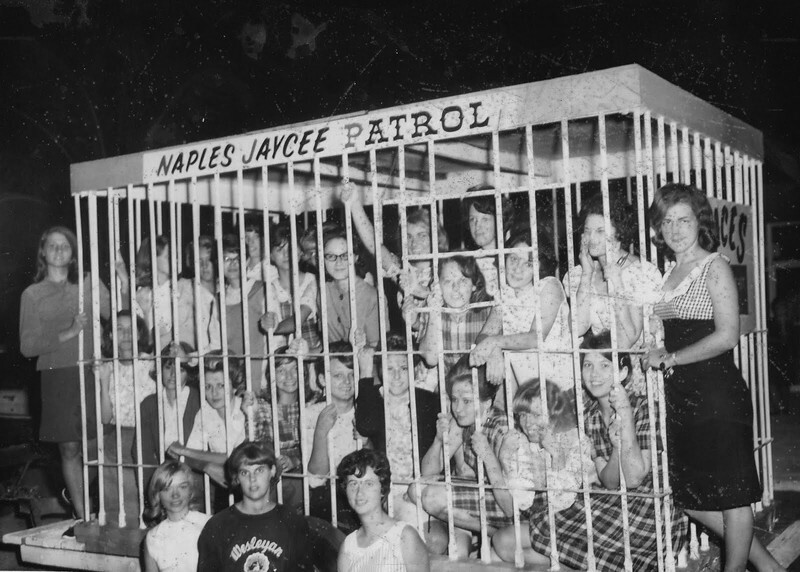 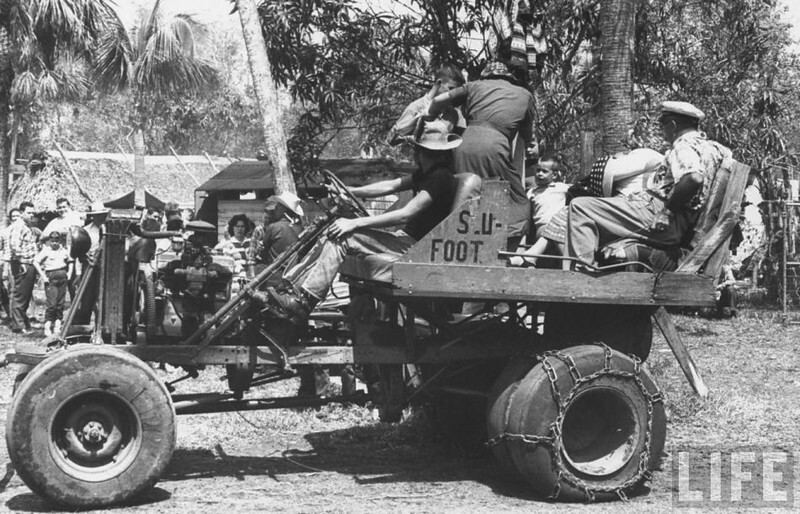 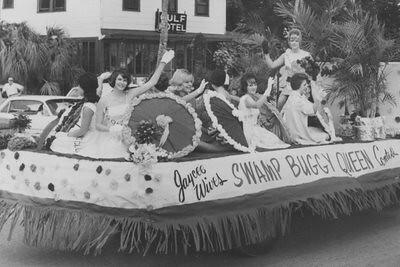 IN A TYPICAL COLLIER COUNTY SETTING, amid palms and palmettos, 15 of the 20 contestants who will vie for the 1967 Crown of Swamp Buggy Days Queen, pose with one the unique vehicles which give the festival its name. 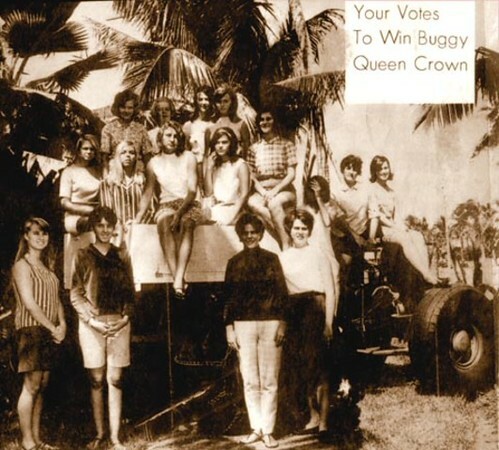 Elimination competition for choosing eight finalists, who will then compete at the Swamp Buggy Coronation Ball, staled for Saturday night, will be held tomorrow at 8 p.m., in the Naples Senior High School Auditorium. 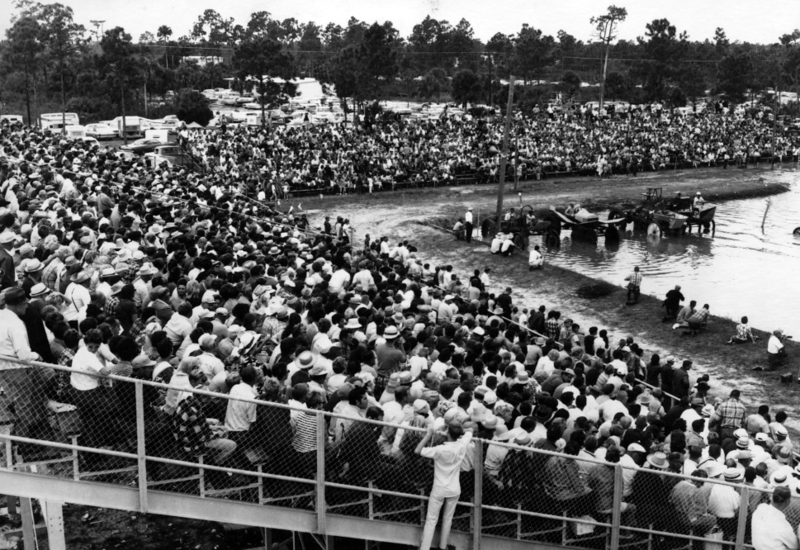 Admission is free and those who attend will be asked to help select eight girls for the final running. 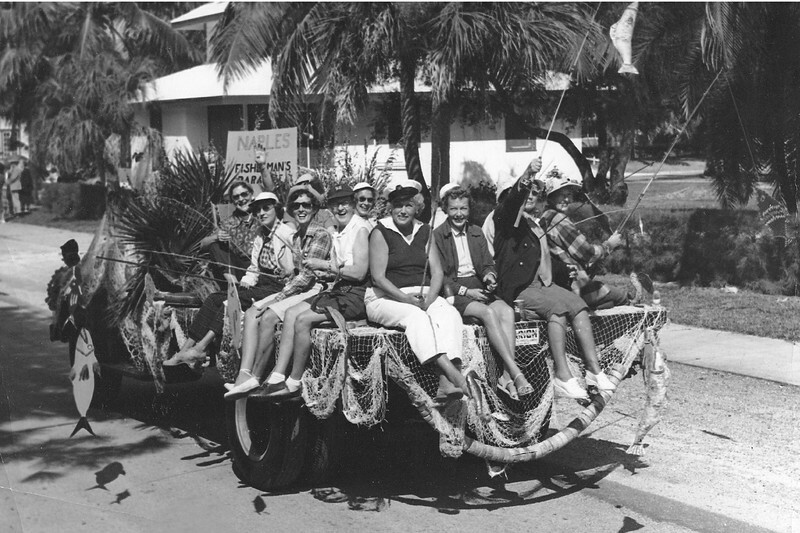 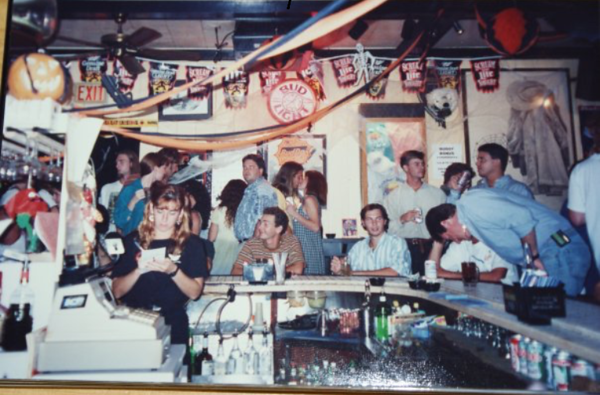 Shown above, not necessarily in the order in which they appear, are Cindy Slezsak, Vickie Batcher, Pasty Langford, Gail Below, Debra Engel, Paula Burke, Rebecca Paul, Susan Shearer, Sue Kengel, Julane Brandt, Roni hill, Ann Scott, Kathy Hendry, Doo Breeden and Karla Pearce. 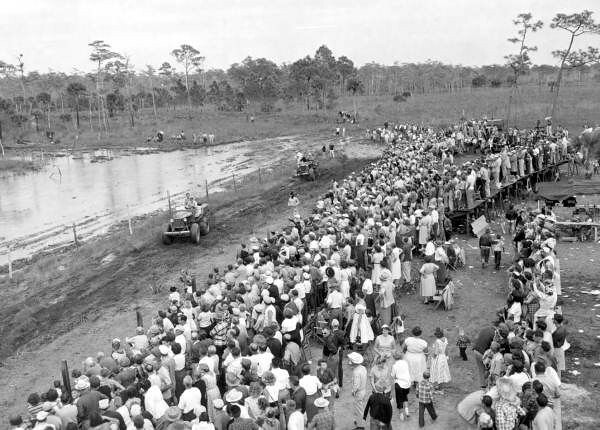 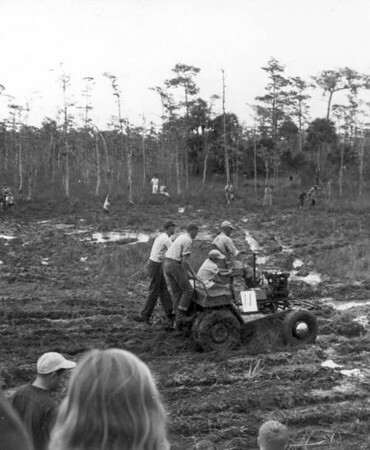 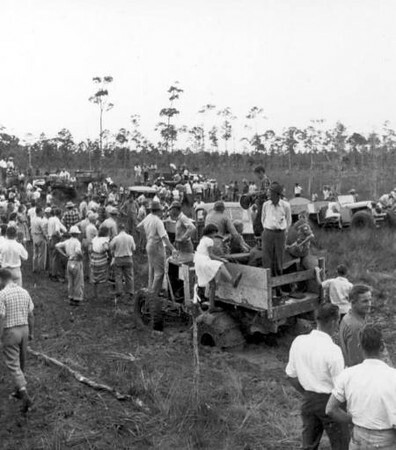 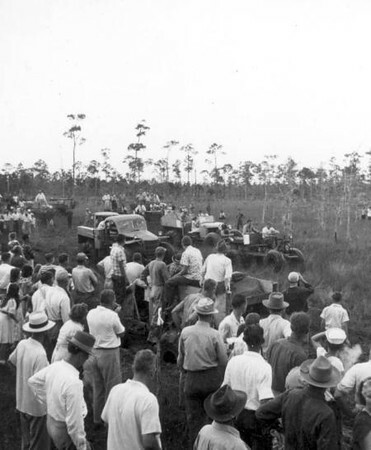 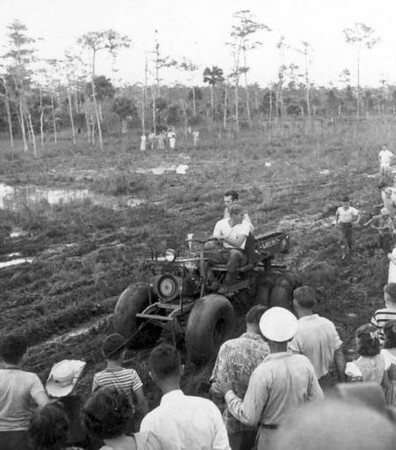 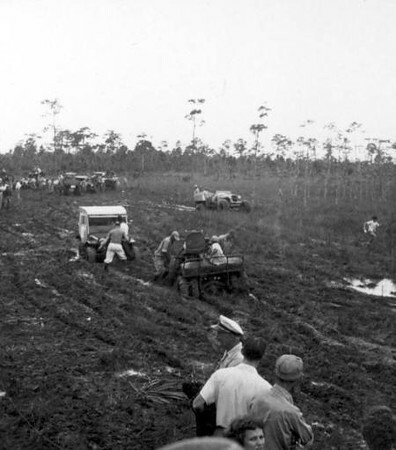 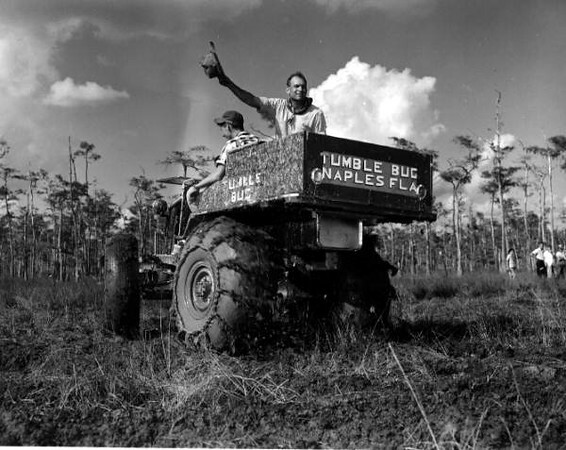 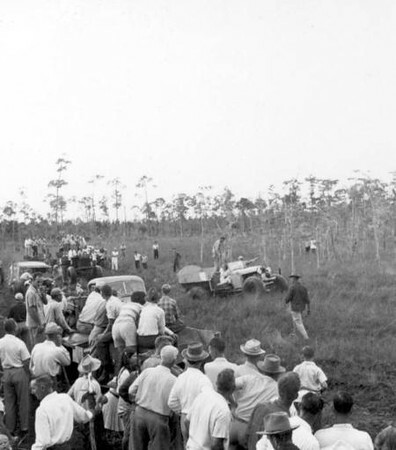 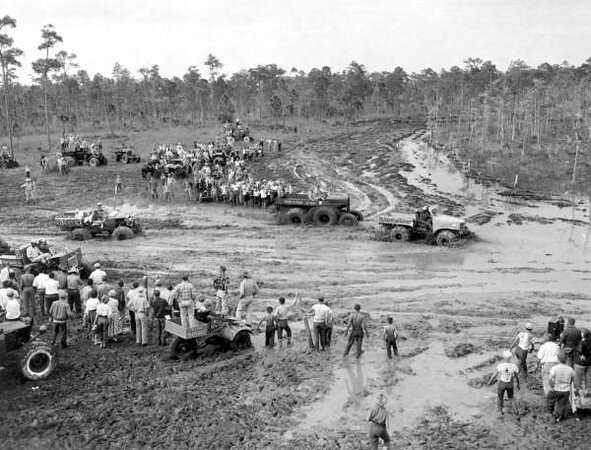 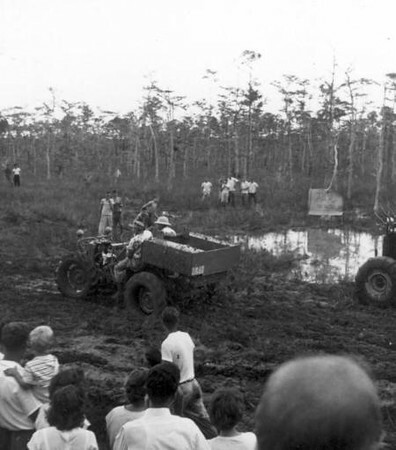 Paul Frank drove as he and passenger Henry Espenlaub drove the "Tumble Bug" in the 1965 Swamp Buggy Days Parade. 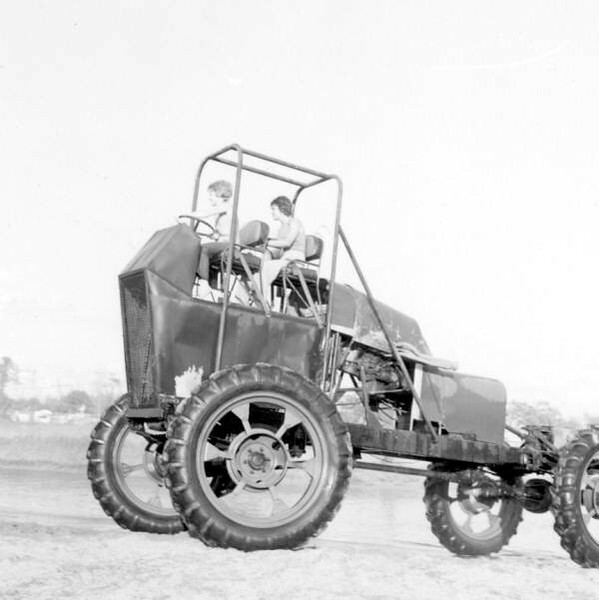 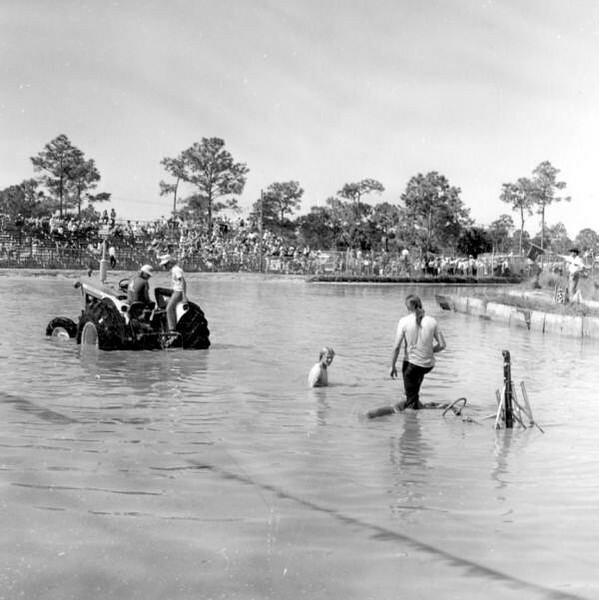 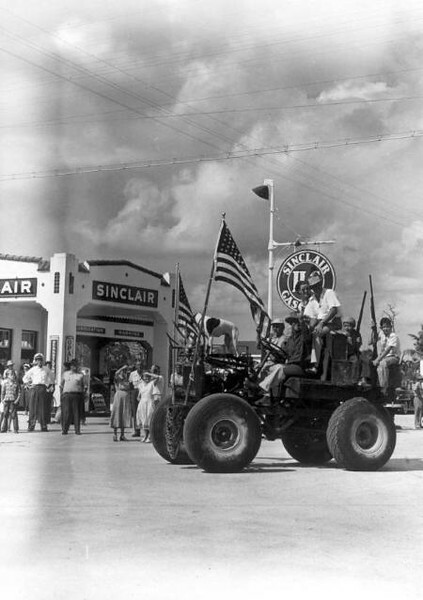 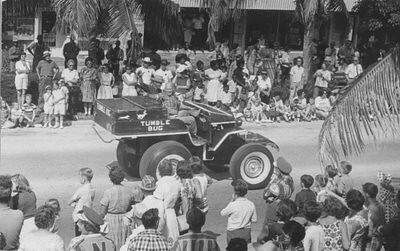 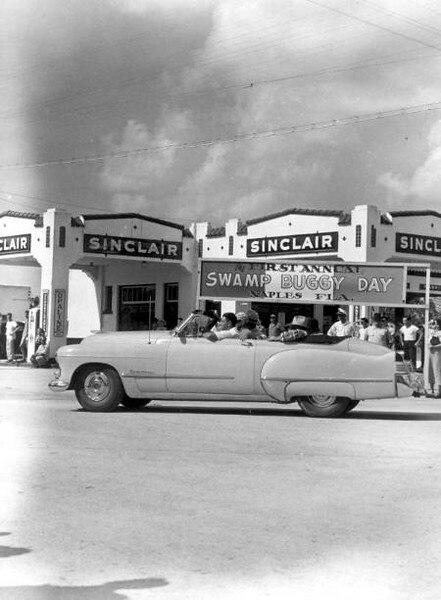 Tumble Bug was the winner of the 1951 Swamp Buggy race and was a featured favorite in the annual parade for many years. 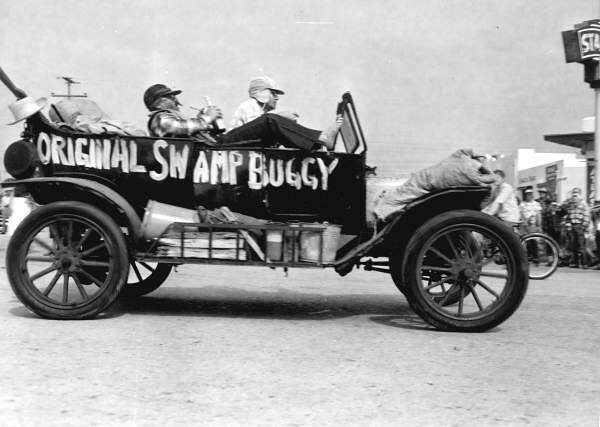 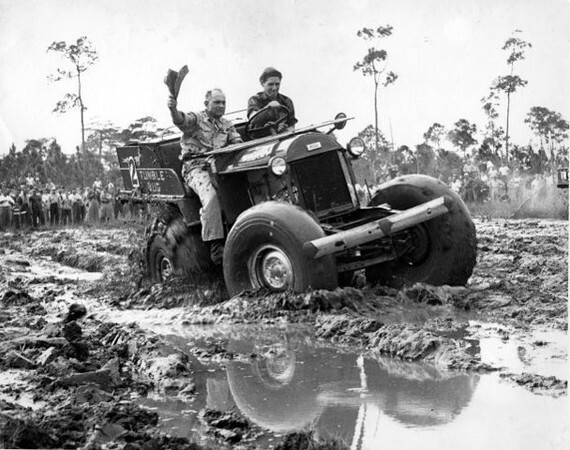 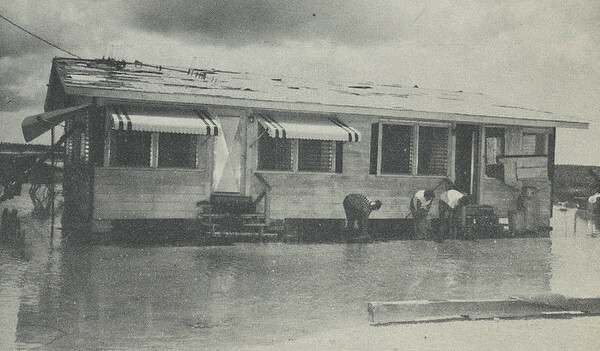 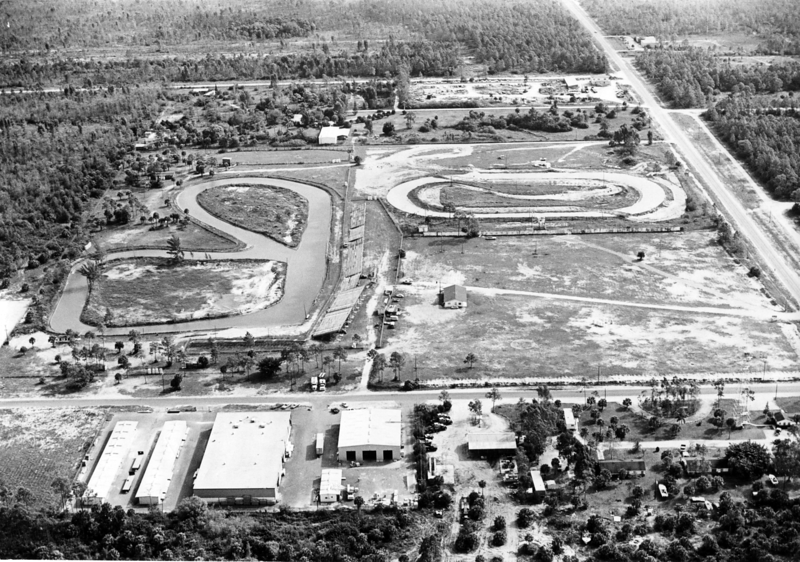 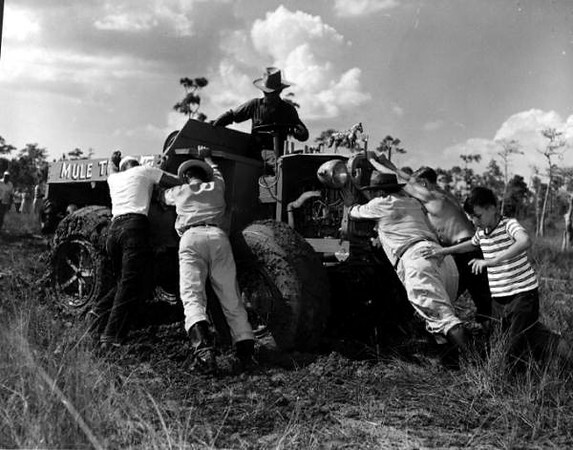 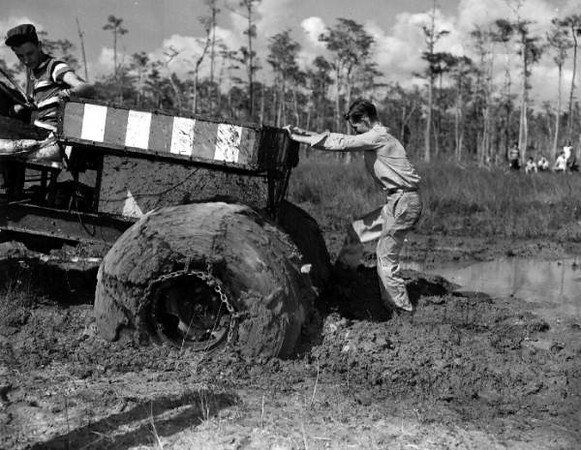 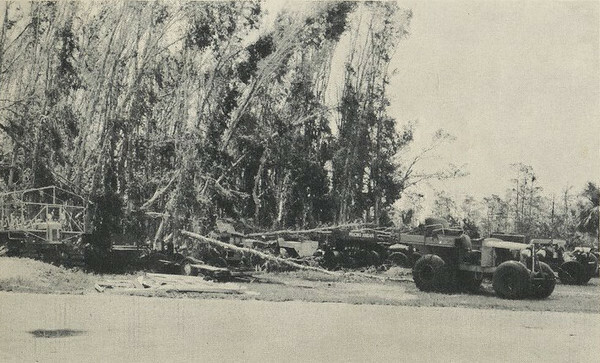 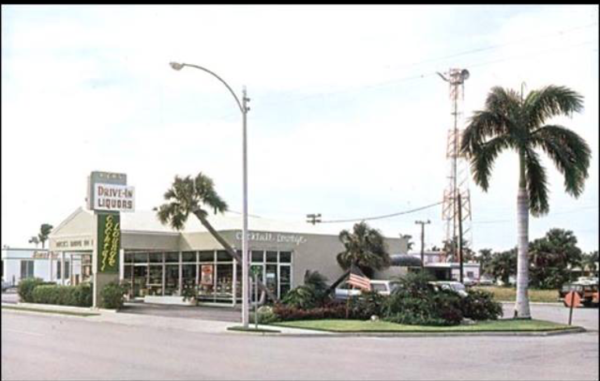 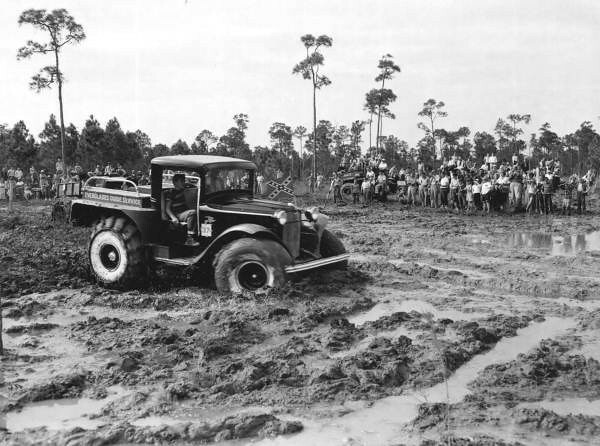 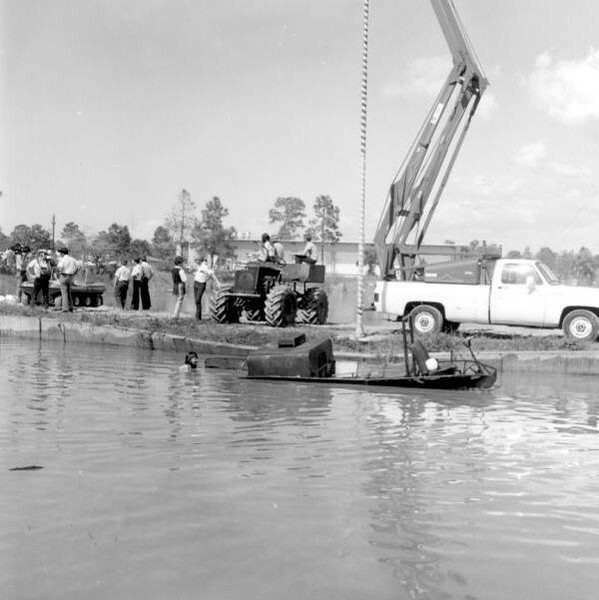 It was originally built in 1949-50 by Ed and William "Bubba" Frank and was the most remembered swamp buggy of all time. 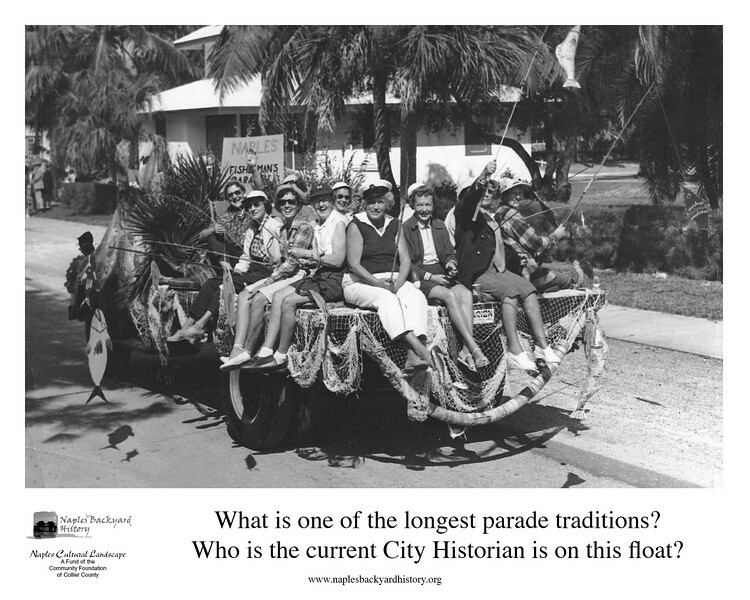 The Swamp Buggy Parade is a Naples oldest and largest parade held yearly as the kick of for the Swamp Buggy Season. 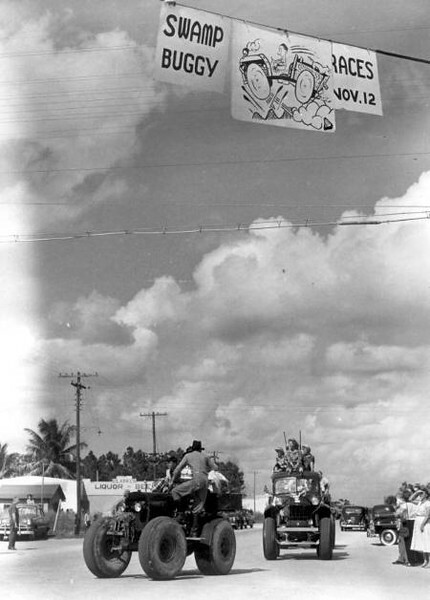 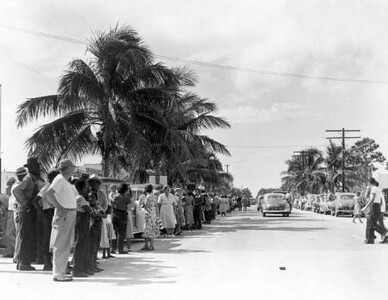 The first parade was held on November 12, 1949.